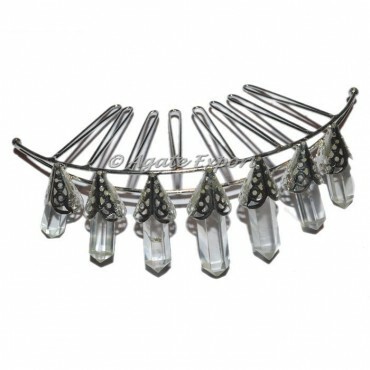 This extraordinary crown is made from silver plated metal and measures upto 8 - 9 inches. This crown represents a remarkable work of our artists.Whatever the occasion, make it a special one with this attention-getting beauty. Made with the highest quality crystal quartz gemstones, high-styled, and quality materials.For any special order or change in design of the crown contact us directly.